As I’m sure you may know there are many types of brushes for many different purposes. Some of the shapes range from flats, filberts, to rounds and are often available at different lengths, both in their handle as well bristle/hair length. 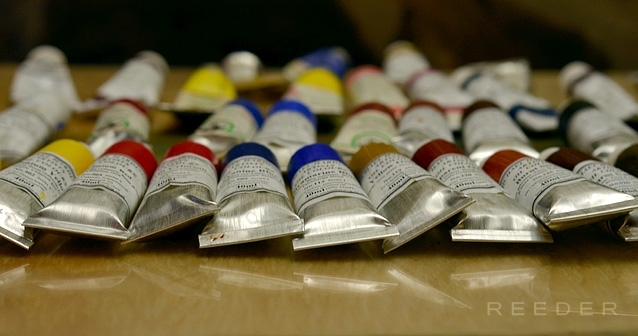 Find what works for you and also pay attention to what type of paint each brush is designed for. Your brushes can and should last you for years. I have some that have seen more than a decade of use and are still good. They don’t all last forever, but there are some easy steps to keeping them like new.- Use a sealable jar with solvent (usually odourless mineral spirits) to clean your brushes after a day’s work. – These jars will last a very long time as all the paint will settle to the bottom leaving the spirits clear for the next cleaning. – Take these brushes that are now mostly clean and give them a second good cleaning with dish soap, (I use the laundry tub/sink for this part) . – You can also use shampoo but dish soap is cheaper, seems to last longer, and can have less chemicals depending on the brand. – Using rubber gloves I scrub them against my gloved hand with soap and rinse under running water until no more residue comes off and all run off is clear. – Leave them flat or hanging upside down to dry and by the next day your brushes are good to go for the next session. – Never dry them standing up. There are many different brands of paint out there and each company usually offers a ‘student’ line and an ‘artist’ line. I would be very careful about student level paints. The reason they tend to be so inexpensive is that they have chalk and other fillers added which greatly degrades the quality and strength of the pigments. It does a great disservice to the student to learn and practice with paints that don’t give a true representation of the colour. Too many times I have had a student bring in such paints. I’ve seen some red that were so filled with chalk they came out almost pink, right out of the tube. Some companies may be getting better with this but please do take it into consideration when selecting your paints. There is no point in buying tools or materials that don’t do what they were designed to do. That will just cause frustration and not give you an accurate understanding of what each pigment can do. Some colours can get quite expensive in the artist or professional lines but generally many of the earth tones are very reasonable. Also, some brands have different consistencies regarding their thickness. Some more stiff paint I find are better suited for using a mix as others are great right out of the tubes and ready to go as they are. 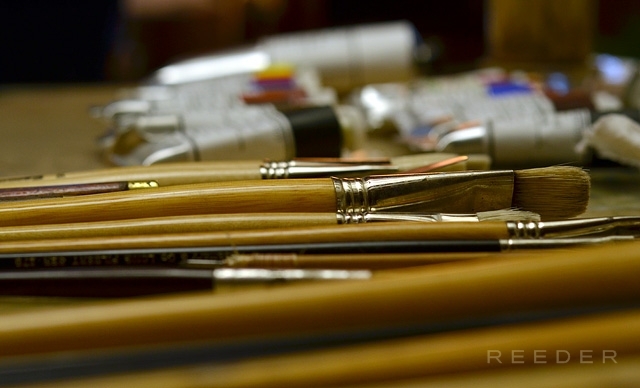 It will benefit you to try different brands and find something that suits your style or way of painting.